If you’re like me, you want your Vietnamese food to come out just like you get it at the restaurant. The key to replicating Vietnamese restaurant food is understanding the subtle and specific ingredient details. In no recipe is this more key than when cooking a proper Banh Mi. Below you will find a recipe for Bun Thit Nuong. Usually, you have a lot of meat left over, so why not make Banh Mi sandwiches! Preparing a Banh Mi is simple, French bread (I buy the un cooked variety at Fred Meyer so I can cook the bread and have it hot at home just like the real Vietnamese sandwich shops), some cilantro, pickled vegetables (recipe below), spicy pepper slivers, meat (from Bun Thit Nuong) and finally, the most deceiving- THE SPECIAL BUTTER! 99 OUT OF 100 recipes online will say to do one of two things, get an egg and then ten other steps, or just mix equal parts butter and mayonnaise. Both are wrong, technically; but the latter is closer to correct. The right way to make the butter is to mix equal parts butter and mayonnaise THEN, depending on the size of batch, add some Maggi Seasoning (in liquid form and available at almost every grocery store in the Asian food section). 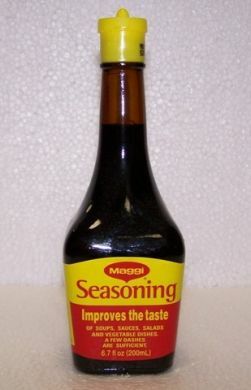 The Maggi seasoning brings out the “meaty” flavor in the butter that characterizes its unique finishing contribution to the sandwich experience. When you cook the bread at home, slather on the butter while the breads hot, then add the remaining ingredients- you’ll find yourself with an EXACT duplicate of the Vietnamese Restaurant-Style Banh Mi sandwich. 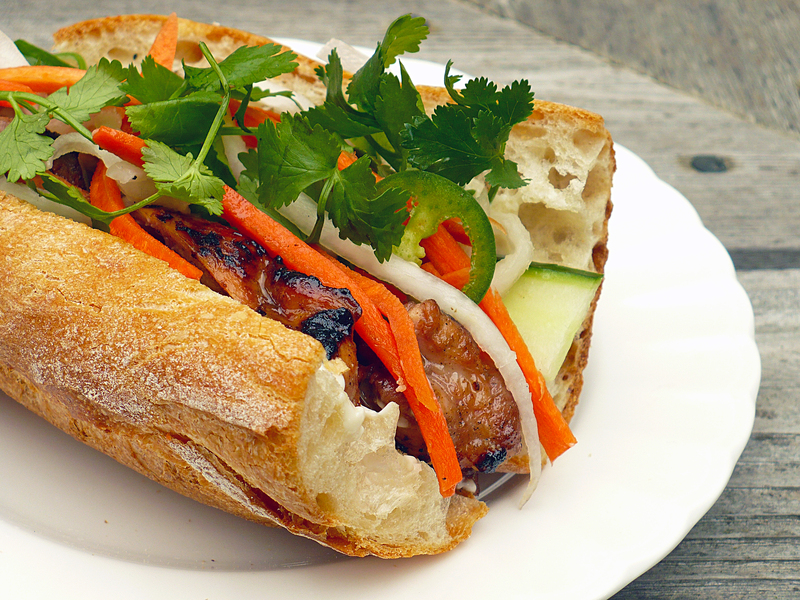 This entry was posted in Recipes, Vietnamese and tagged Banh Mi, BBQ Pork, Recipe, Vietnamese. Bookmark the permalink.